I've been working on my "ink" skills. A lot of what I've been doing is just changing the details of the pen around. 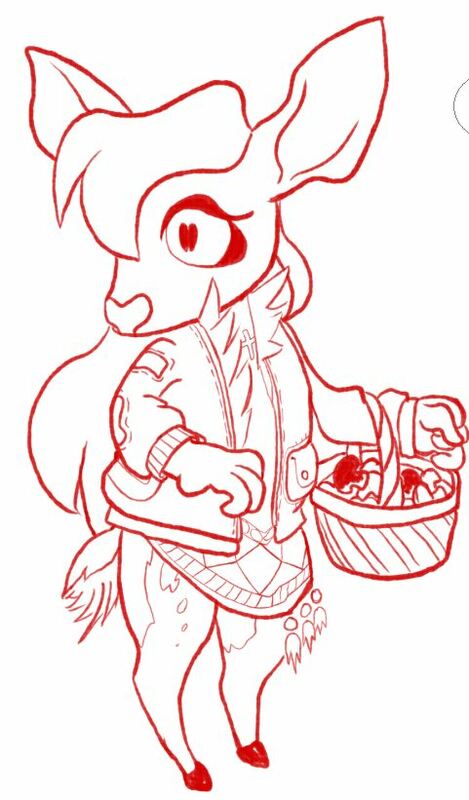 This deer girl is looking for glowing mushrooms, infact she's from an adoreable little villa where the people do that. Because the flow is easy to replicate and the mushrooms could sprout anywhere, these deer are very easy to lure.